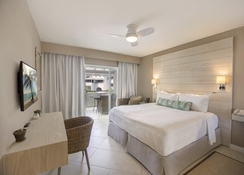 Bougainvillea Beach Resort, Christchurch, is a luxurious oceanfront hotel located just five minutes away from St. Lawrence Gap on the Southern Coast of Barbados. Located on the powdery white sands, this property brings you true Caribbean flavour and luxury living at its finest. 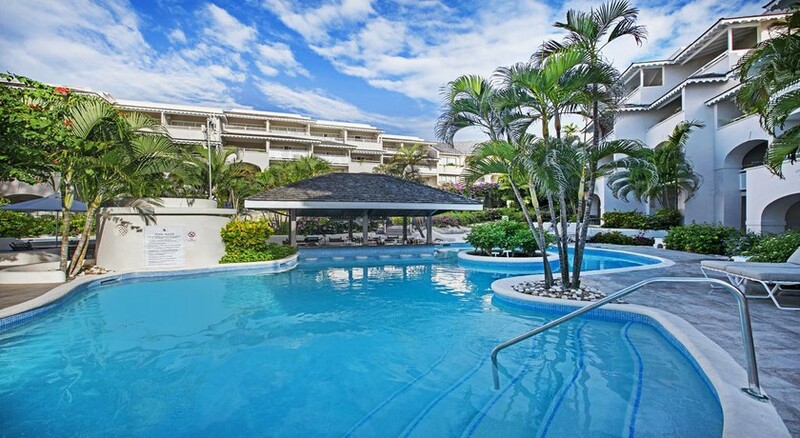 Featuring upscale accommodations and well-furnished suites, gorgeous pools with a swim-up bar, a Karma Fitness Centre and Karma Spa and Salon to relax in, plus a Kids’ Club, this property is a top choice for couples and families wanting a quality beach retreat in the Caribbean. Better still, the nearby beach is brimming with exciting watersports and snorkelling opportunities, so you can make a splash in the crystal-clear waters. Two on-site restaurants serve up delicious Caribbean and International fare amid a relaxing ambience. Bougainvillea Beach Resort is Platinum-certified by EarthCheck for its environment-friendly best practices, too. 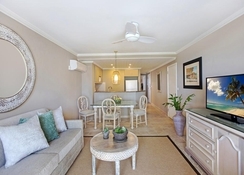 The Beach Resort at Bougainvillea is 2.5km from the Graeme Hall Nature Sanctuary. The island’s capital of Bridgetown is a 15-minute drive away, for those that want a mixture of coastline and local culture. The lively night spots of St. Lawrence Gap and Oistins are a short drive away if you want to explore the surrounding area once the sun goes down. 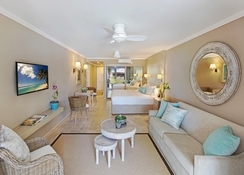 Rooms at Bougainvillea Beach Resort Deluxe can be found in categories including BR Suite, Junior Suite and Deluxe Rooms. 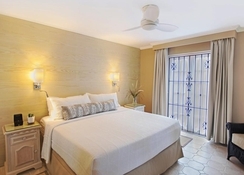 The inviting rooms are painted in bright colours and each feature a private balcony or terrace offering up stunning views of the tropical beach and its surroundings. The rooms also feature WiFi, a flat-screen satellite TV and a fully-equipped kitchen with granite countertops. The two exclusive restaurants at Bougainvillea Barbados, Calabash Cafe and Siam Bar & Restaurant, offer authentic Carribean cooking besides delicious International fare in a romantic Oceanside setting. Enjoy delectable dishes, choicest wines and amazing services at these eateries, which also feature live music and entertainment shows such as fire eating and stilt walking. Enjoy refreshing cocktails at the fabulous pool bar day and night, too. 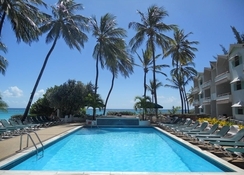 Guests can relax at the three swimming pools at Bougainvillea Barbados. There is a lap pool, a waterfall pool and a swim-up pool bar to explore also, which is sure to add to the fun. The nearby beach has a medley of non-motorized watersports available to get involved in, plus a selection of comfortable sun lounges, umbrellas and beach towels. For those after R&R, Bougainvillea Beach Resort has the Karma Salon and Spa, where guests can indulge in a host of beauty, relaxation and hair care treatments. The rate of room rate levy is increasing for all guests from April 1st 2019. The levy will continue to be collected locally but please do update your systems accordingly. All arrivals and in house guests from April 1st will be charged this higher rate of levy.